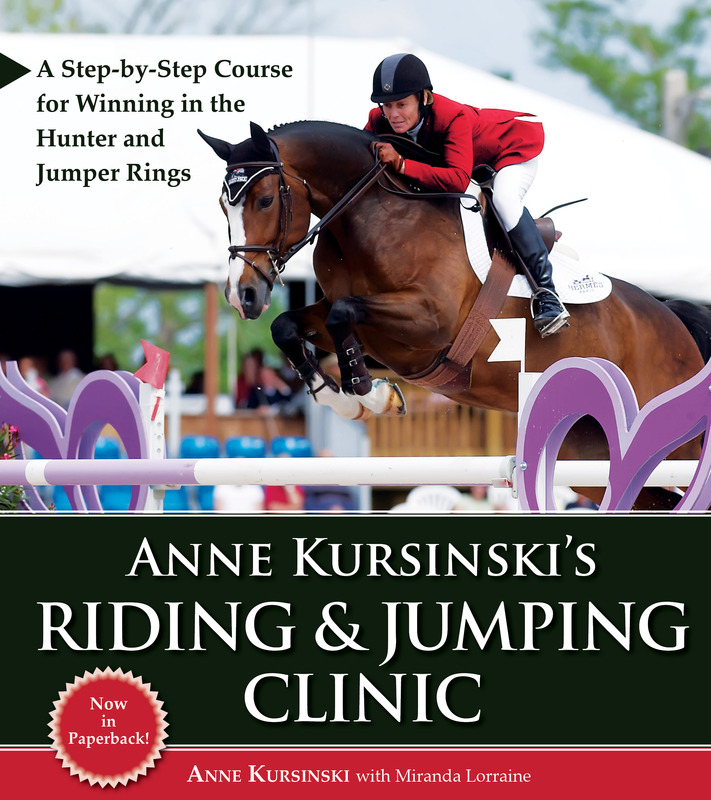 Last month, I taught at the Emerging Athletes Program clinic at the LA Equestrian Center. I thoroughly enjoyed working with these enthusiastic and talented riders. I started with a talk on the Theory of riding and values I think are important. I went on to work with 3 groups on Dressage and flat work. The riders were extremely receptive. We worked on 'leg to hand'. Getting the horses more responsive to the riders' legs and seats.The riders learned to feel a consistent connection with the mouth. I rode and demonstrated an effective position. 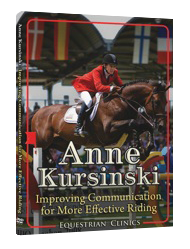 How to ask horses questions, like leg yielding, accepting the bit, turns on the forehand. In my conversations with the horse, how I talk to and influence them by increasing and decreasing my adds. At the end of the first day, I gave a talk on my 5 Olympic Games experiences. In the EAP program, I love the progression of training and then finishing the last day with a real course simulating a horse show. It's a super test of their skills and what they've learned. I hope the riders gained some knowledge that will help them in the future! My students and I had great results at Lake Placid and HITS. For show results, photos and videos follow me on Facebook, Twitter and Instagram . 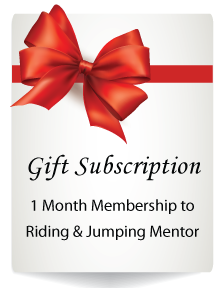 To catch up on all of my training and horsemanship tips log into Riding and Jumping Mentor. This month I answer the member question "What recommendations do you have for an amateur training their own hunter prospect?" me. Developing that team, paying attention to the details was fun and a huge part of my Olympic journeys. 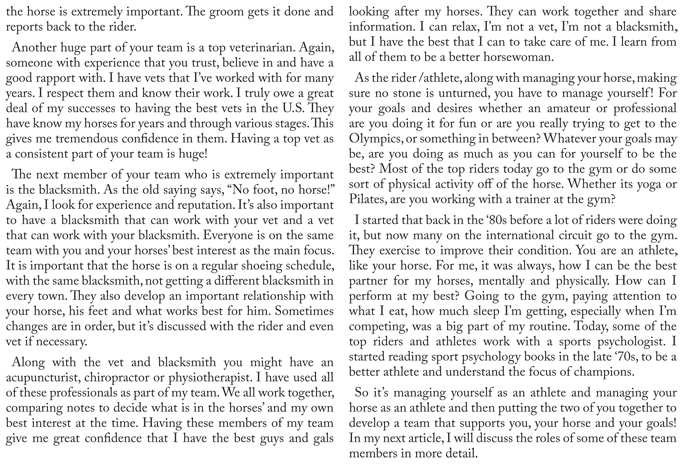 Many years ago, I learned from George Morris to surround myself with experts. 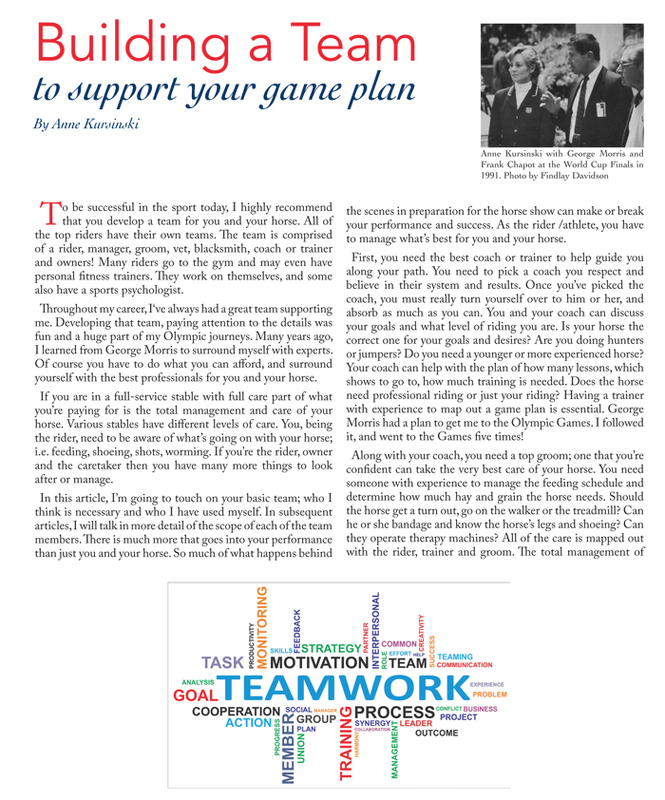 Read below to learn how you can build your own team to reach your goals. Best of luck to our US teams in Rio!